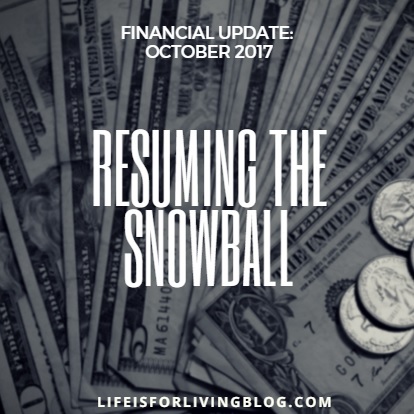 Our debt snowball has been on hold since June. Life has been pretty hectic since then. 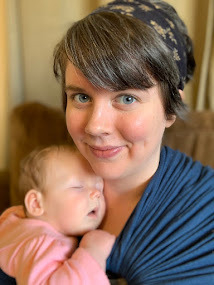 We've changed vehicles, moved out of our apartment, bought a house, begun remodeling the house, and gone through some job-related financial hardships and changed jobs (twice, actually). After all this transition, I'm excited to finally be settling into our new home and establishing a new sense of normalcy. And with that, a brand new budget and an updated list of debts. That's right. Our debt snowball looks a lot different than it did back in June. No, thankfully, we didn't resort to swiping our credit cards again like we did with the last move. 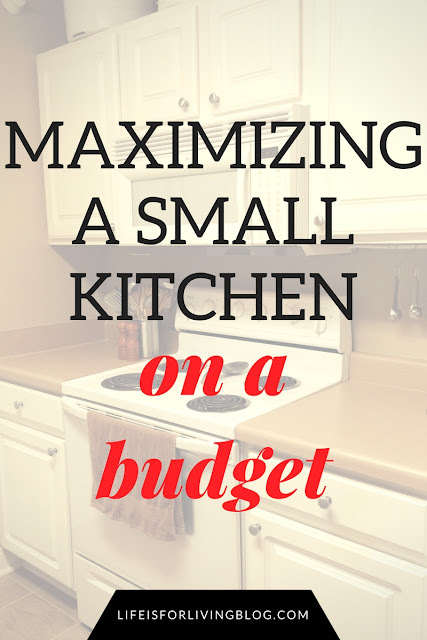 Actually, we managed to pay for everything- from U-Haul rental to utility deposits to home renovation- with cash. 1. We transferred almost the entire balance from our Chase card to our Citi card. In June, the balance of my Chase card was $5,139.97. The interest rate for that card was nearly 25% (!!!). Because the debt snowball required us to pay off Citi first (since the balance is lower), we were only making minimum payments to Chase. And the interest was getting out of control. Matt kept getting balance transfer offers from Citi for 0% APR until summer 2018, and we finally decided to go for it. Our credit card debt should be paid off by summer 2018 if we can get our crap together, but even if it isn't, Citi's APR rate will still be better than Chase's ridiculous 25%. So, we transferred as much of the Chase balance as we could, leaving less than $1,000 on the high interest card, which now moves this to #1 on our debt snowball attack plan. The current balance is $810.50, which should be knocked out by the end of 2017. 2. 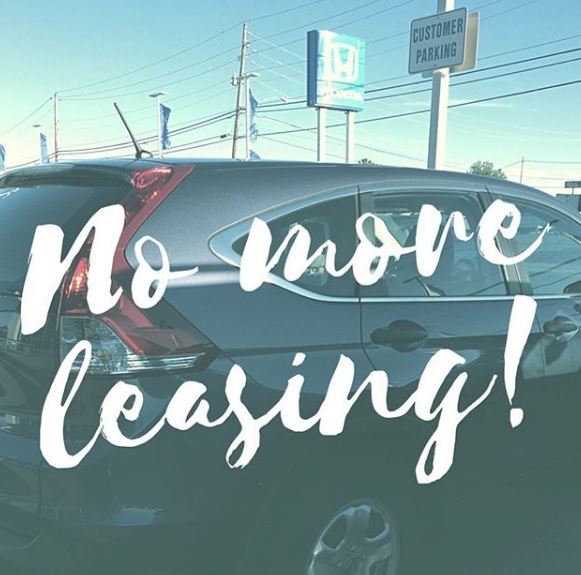 WE NO LONGER HAVE A LEASED VEHICLE! Much to Honda's chagrin, I returned my leased CR-V to our local dealership and did not roll out of their lot in a 2018 model. Though, to their credit, they surely did try to make this happen. And let me tell you, when you repeatedly state you don't want to lease again and have no interest in buying from them, it ticks them off. When I pulled up in my lease and hopped out to go inside, I was swarmed by super friendly young men, all so very eager to help. So courteous, so full of smiles. Until they learned why I was there. Then my customer service experience took a 180 degree turn. The smiles vanished, I was cast aside to a waiting room, and I was ignored for almost forty-five minutes until a finance manager could find the time to address me. The end-of-lease process was simple enough, but I was annoyed that, despite being way under mileage and leaving the vehicle in perfect condition, I owed $350. 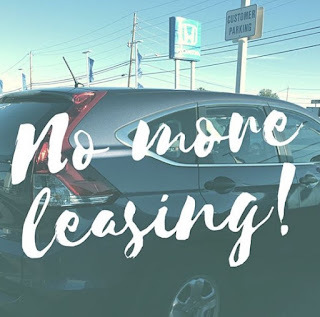 A "lease turn-in fee", a fee you only pay if you don't buy or lease another Honda. 3. We financed a used car. Obviously, I had to have something to drive. We discussed being a one-car family for about five seconds; Matt's commute is just under an hour one way, and mine is 40 minutes in the opposite direction. With our long commutes, we decided against paying cash for a cheap old clunker like Dave advises. There's no family around to share cars with us. The next best option was locating the least expensive, most practical used vehicle we could find. I LOVED driving an SUV, but they're known gas-guzzlers. 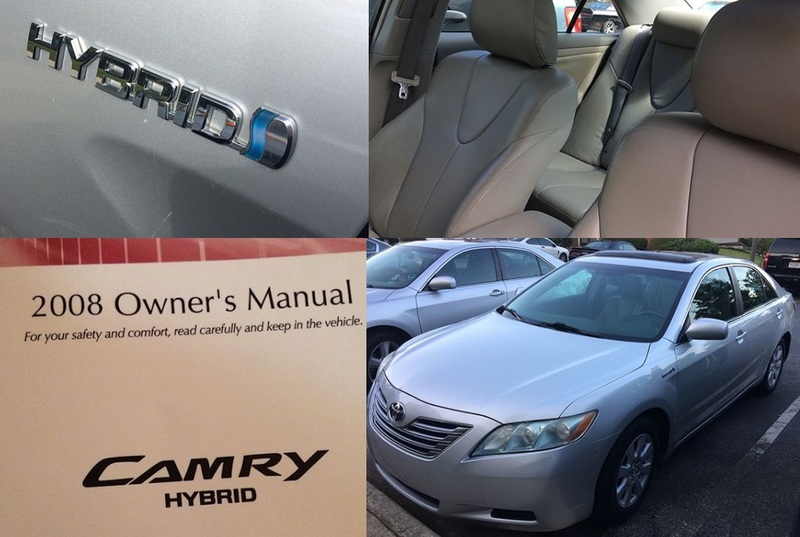 To help stretch our fuel budget, I opted for a used 2008 Toyota Camry Hybrid. That 40 mpg made the decision for me. I'm pretty sure the silver Toyota Camry is the most ubiquitous vehicle of all time, but I'm okay with that, at least for now. They're good, reliable cars, and the minimum payments are about half what my lease payments were. Plus, when all the payments are gone, it'll be mine. I don't have to turn it back in to the dealer at the end of three years. I can drive it as long as it lasts.